Greek Prime Minister Alexis Tsipras thanked Russian Deputy Finance Minister Sergei Storchak for the invitation and said Greece is interested in the offer. The bank is expected to be one of the largest financial institutions to fund various infrastructure projects in the BRICS countries and emerging economies. Greek Prime Minister Alexis Tsipras on Monday held a telephone conversation with Russian Deputy Finance Minister Sergei Storchak. During the conversation, Storchak invited Greece to become the sixth member of the New Development Bank of BRICS countries, Greece's Syriza party reported on its website. Storchak is a representative of the BRICS Bank which is now being established. The newly appointed chief of the bank is Kundapur Vaman Kamath, the former Non-Executive Chairman of ICIC Bank, India’s second largest bank. "The Prime Minister thanked Storchak and said he was pleasantly surprised by the invitation for Greece to be the sixth member of the BRICS Development Bank. Tsipras said Greece is interested in the offer, and promised to thoroughly examine it. He will have a chance to discuss the invitation with the other BRICS leader during the 2015 International Economic Forum in St. Petersburg," the report read. 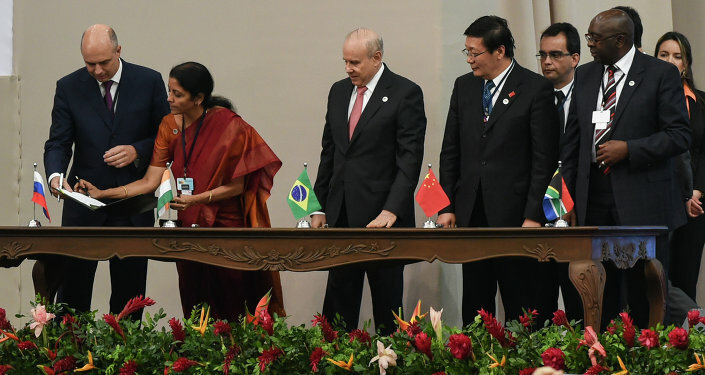 On July 15, 2014, in Fortaleza, Brazil, the BRICS member countries signed an agreement to establish the $100 billion New Development Bank, formerly referred to as the BRICS bank, and a reserve currency pool set at $100 billion. Russia will contribute $18 billion to the pool, along with India and Brazil. China is expected to contribute the largest share of $41 billion, with South Africa chipping in the remaining $5 billion. The bank is expected to be one of the largest financial institutions to fund various infrastructure projects in the BRICS countries and emerging economies. The BRICS group of prominent emerging economies was established in 2010, when South Africa joined Brazil, Russia, India and China in what was previously known as the BRIC nations. 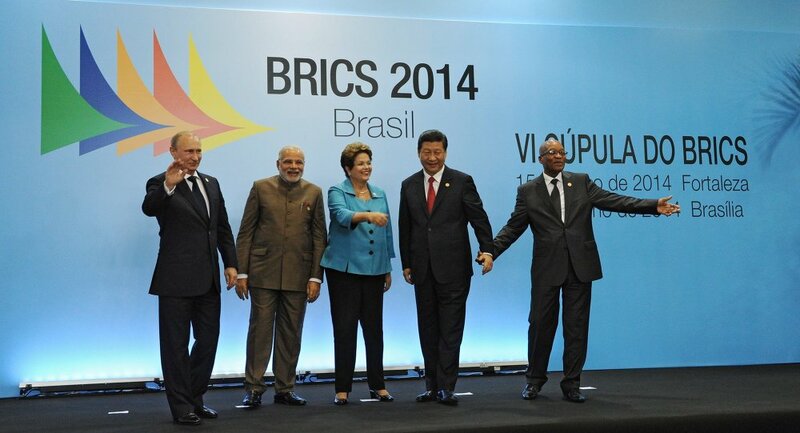 The BRICS countries make up about 40 percent of the world's population and a combined economy of about $16 trillion.